There is one gold and one silver sheet included as well. 100 Crystal Clear A2 Card Jackets. 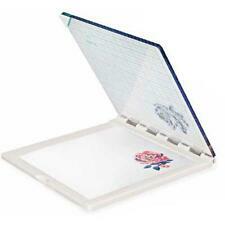 Holds a standard A2 card and envelope . A2 card - 4 1/4 x 5 1/2 envelope 4 3/8 x 5 3/4. After you do that I'll be notified of the sale and will receive your request for an invoice. Easily focus to dropper. Because the glue will be easily dry. Resuable, washble, and easy to use. Each bottle has a firmly fit tip cap, cover the tip well, protect the tip and keep liquid from leaking out. Deep Point Housing & Blade makes it easy to cut a wider variety of materials for your projects. The Cricut Explore. machine can cut most materials up to 1.5mm thickness with the Cricut Explore. Includes cicut Explore. CLEAR ACETATE WINDOW SHEETS. Use these clear window sheets on scrapbook pages, cards or to cut out shapes. VIBRANT COLOUR CHOICES :Providing 500 sheets total. It's not only more than simple arts and crafts, but also allows people to think critically and may help you solve problems. FUN LEARNING TOOL :By using our square folding paper, you could inspire your creativity and imagination as well as teaching patience and focus. Origami folding paper, crane, love rose, craft, art, DIY, gift, valentine material. 300 sheets per item. Quantity error: 0-2 per 100 sheets. Made by 100% long fiber wood pulp, recyclable. Best quality base price. Make your very own custom cards with sound. Beautiful designs and colors printed on washi chiyogami paper. Assorted designs and colorful patterned Japanese paper for your origami or other craft needs. 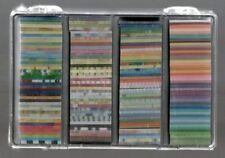 Authentic Japanese origami paper, made in Japan. This tool kit includes Scissors, tweezers, needle tool, and a slotting tool. This paper is a very thin Japanese foil. It is suitable for folding complex origami or iris folding projects where multiple layers are necessary without added bulk. Each Color has 2 Sheet. Wooden handle with stainless steel tool end. PINK OR BLUE_ ONLY 1PK WILL BE RANDOMLY SELECTED AND SENT. - Origami Size : 2" x 2" (5cm x 5cm). 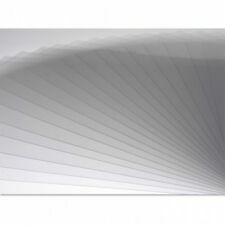 New andvariety of color Crane Folding Paper 1000 sheets. The crane are Oriental symbols of good fortune, peace, hope and longevity. 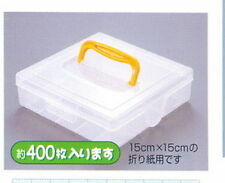 Size app : 10 x 0.7cm, Suitable for 3m, 5m, 10m Quilling Papers. Material : Aluminum, Stainless steel. Color: Silver. United States. Canada Rate (item arrived) 0.0% 47. 1 % 31.4% 17.6% 3.9%. Rate (item arrived). But why throw them away when we can not only provide them to the electronics repair and arts & crafts communities for a lower cost, keeping them out of our landfills as well. 467MP, 468MP & 200MP. The 467MP, 468MP & 200MP works best with -. 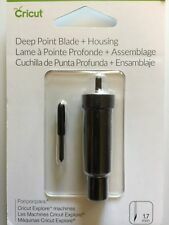 5 out of 5 stars - CRICUT ULTIMATE FINE POINT PEN SET OF 30 MARKERS NEW! 14 product ratings14 product ratings - CRICUT ULTIMATE FINE POINT PEN SET OF 30 MARKERS NEW! You are purchasing one origami bulldog carefully folded out of a single U.S. dollar bill. These make great tips at restaurants or work nicely as memorable gifts for occasions such as birthdays, christmas, graduations, weddings, and anniversaries. I will ship it in a standard envelope with stamp or will upgrade shipping to first class with tracking for free if 5 or more pieces are purchased (can be from my other listings). Please be sure to look at my other dollar origami listings. New Craft 4-Pc Set, Quilling/Jewelry Scissors/Quilling/Tweezer/Piercing tool. The Scrap'n Easel easily folds down to be portable and is also designed ergonomically to take away the aches and pains associated with leaning uncomfortably over your project. The Scrap'n Easel is proudly Made In The USA. Bantoye 10 Pcs Needle Tip Glue Bottle Applicator DIY Quilling Tool Precision Tip Glue Plastic Liquid Dropper Bottles. Easily focus to dropper. Because the glue will be easily dry. Resuable, washble, and easy to use. 40 sheets for each color. It’s perfect for school origami lessons ,large projects or beginner training. The box can collect well the rest unused sheets and these sheets won’t be in a ess inside the box. Set of 9 Cards for Greeting Card Crafters. NOT the "Buy it Now". You will get 9 cards with vivid digital graphics. Details of the cards Each individual card is a digital image. I also use a high quality vivid print on these cards. You are purchasing a card kit of 4 shaker cards. A sample of the card is included with enough supplies to make 3 more cards.The shaker jar will be assembled for you. Envelopes for all 4 cards are included. Four smooth white envelopes are also included. These are made with the Stampin' Up! Inside the cards is left blank. This is for 4 handmade cards. One completed card will be included along with all the components you'll need to put together the others. Envelopes may not be included. 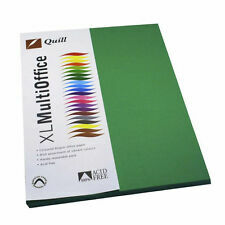 Great for making 3D quilling paper. 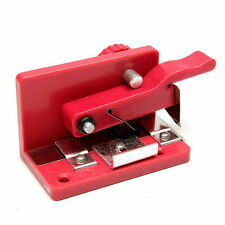 High quality and durable quilling slotted tools. 5 different size, essential for DIY quilling paper makers. Using it to create decorations and gifts will be simpler and more funnier, they are the necessary quilling sets for beginners. Sock Hop Girls. Plus a large variety of card kits for you to assemble. Sets include 12 images. One Set Paper Envelope(Including 12 Envelopes). Material : paper. We would try our best to help you solving any problem. You may also like. Color:As the pictures. We will do our best to help you to resolve your problems. Use instead of push pins to keep your surfaces looking great. Can stack bows, roses, peach hearts, thousand paper cranes, etc. 30Pcs x Lucky Star Paper Folding. When folding, a luminous powder side outwards, luminous effect is very good. Luminous a little transparent, iloveyou on the surface of the decorative pattern is luminous. Arts and crafts can be a fun way to spend a few hours, brighten a home, and make gifts for friends. One of the oldest and most well-known art forms, paper crafting, lets the imagination run wild while keeping the hands busy. Finding the right paper crafts for your project can be almost as much as fun as doing the project itself. Paper is a widely used art medium. Paper crafting refers to a broad range of art projects, from origami to making homemade cards to creating scrapbooks. Additionally, making paper is a craft, such as creating embossed journal pages and decorative stationery. How can you find supplies for your paper craft projects? Here are some examples of the types of supplies you might choose for enjoying a selection of paper crafts. Card making. While you can craft cards from almost any kind of sturdy material, cardstock is easier to decorate and will hold up well over time. Cardstock comes in colors and weights that are suitable for any occasion. Don't forget to consider some decorative stamps for your cards as well. Rubber stamps can save you the effort of writing duplicate card messages by hand. For holiday cards, stamps can also add bits of festive decoration and color. Origami. The first rule for origami paper crafting is you should always start with a square piece of paper. You can cut non-square supplies with a pair of sharp scissors or a paper cutter. In addition to the square shape, the material should fold cleanly without breaking or creasing. Apart from these considerations, color, size, and material can vary. Decoupage. If this is your first time crafting decoupage, you may want to find materials made specifically for this purpose. All you really need to get started is thin, flexible paper, glossy glue, and a brush. You can even cut up old magazines or newspapers to use as decoupage materials. Paper flowers. In order to create beautiful, delicate flowers, crepe paper is an excellent choice. While any ultrathin material will work, you need many layers to craft an intricate paper flower. Scrapbooking. If you're just starting out with scrapbooking or another open-ended design project, try a variety paper-craft pack. That way, you can cut and craft materials to suit your vision. Scrapbooking encourages creative crafting, making something new with unique designs, materials, and mediums. Use decorative stamps, add ribbons, and create pop-ups. Stamp and sticker collections can provide the basis for some fun scrapbooking time. How can you store papercraft supplies? Always keep your craft supplies in a dry place. Consider organizing supplies by project type, such as in bins or folders sorted by paper type and color.